Nicola Cruz Merges Electronic And Folk Music With The Use Of Cave Acoustics Ecuador-based musician Nicola Cruz is known for mixing electronic music with various ancestral instruments. His new album, Siku, is out now. 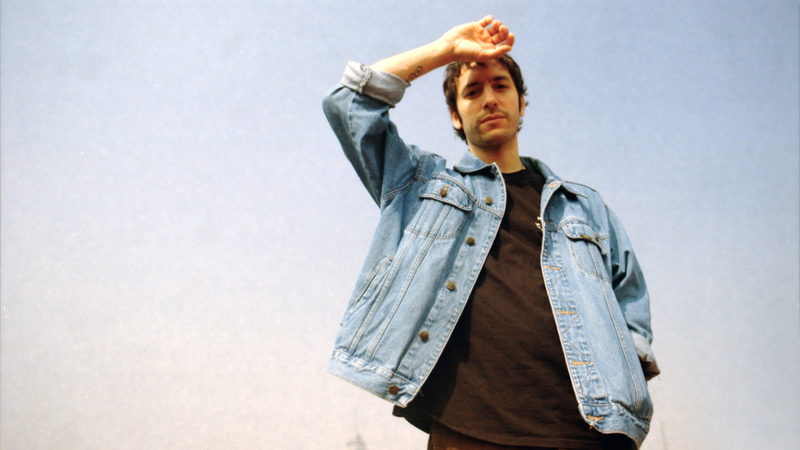 Electronic musician Nicola Cruz's new album, Siku, releases on Jan. 25. Nicola Cruz is not afraid to experiment. Well-known in South America and based in Ecuador, the electronic musician released his latest album, Siku, on Jan. 25. Not only does he mix in the folklore and roots from around South America, Cruz also creates vivid soundscapes using various instruments including wood flutes, percussion and small guitars. "Living in a place like Ecuador, it just feels natural," Cruz says. "All around, folklore and roots are quite present. You turn on the radio and you listen to folkloric music." When Cruz started to make techno music, he decided to slow down the BPM (beats per minute) and investigate music from there. Never thinking about whether or not it would sell, it led him to create a song called "Sanación," which he released four years ago on his debut album, Prender el Alma. "That really made me take a step back and realize what what I was doing," Cruz says. "It really felt magical. It felt powerful." Now, he's out with his second album Siku, which Cruz says is a reference to a wind instrument from the Andes. "But at the same time Siku means an Andean tradition which means playing in pairs," Cruz says, "Not necessarily playing like in the physical form, but really being connected with one another while playing." Cruz tries to be as "experimental as possible," which he believes is an advantage of electronic music. In many of his songs, he likes to record outside of a conventional studio where things can be "a bit more chaotic." "So 'Arka' was recorded in this cave in this volcano near me," Cruz says. "It's not an active volcano, but pretty much all the mountains around here were once a volcano." "Arka" was done in collaboration with Esteban Valdivia, a specialist on the world's ethnic flutes and the study of pre-Columbian aerophones. "We always wanted to do a song together, and so we thought these caves which are near our homes was the perfect place to to experiment," Cruz says. By mixing electronic music with elements from his homeland, Cruz hopes to change the perception of pop music in Latin America. "I, at least, know I'm doing my music with quality and intention," Cruz says. "I really hope it gets heard and it replaces our concept of popular music." Producer Monika Evstatieva assisted with the audio editing of this story.